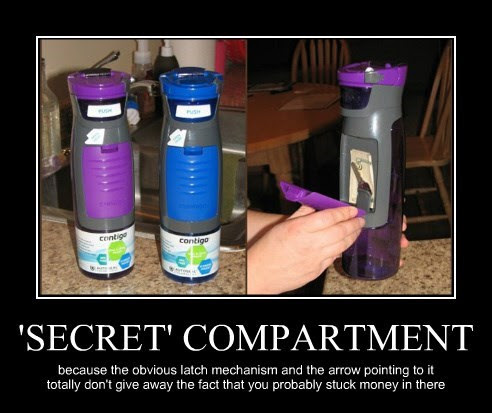 I'm not sure why anyone would consider this a secret compartment. Shouldn't secret things be, you know, hidden, or at least not stand out colourfully? Even without the arrow or the latching mechanism, wouldn't you assume the coloured plastic piece could be separated from the grey portion?